Tzenkethi forces have set up operations in the Gon’cra system, at the far edges of explored space! The Tzenkethi battlezone is a new area for level 60 captains. Tzenkethi ships guard new mining and construction operations, where the Tzenkethi have built facilities to harvest the raw material of the system and turn it into weaponry. Allied forces rally to set up blockades and counter the Tzenkethi construction projects. Destroy their research data and deny them the assets for their war machines! Of course, the Tzenkethi will fight to protect their operations. Once Allied forces have taken control of the area, captains must hold off Tzenkethi dreadnoughts using metaphasic shielding. Succeed, and the Tzenkethi will be repulsed from the system; fail, and their war efforts will continue. Completion of objectives in the Tzenkethi Battlezone will award new Lukari marks, used for advancing through the Lukari Restoration Initiative reputation. Additionally, participation awards expertise and dilithium. 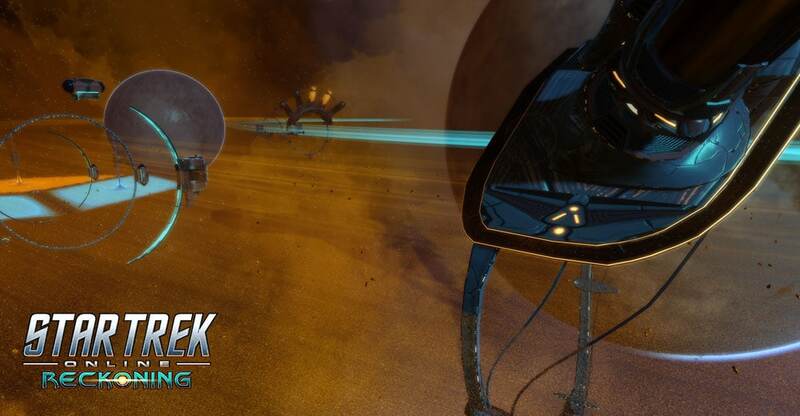 The Tzenkethi Battlezone is available to level 60 captains of all factions, accessible from the Alpha Quadrant.